Prêt-à-porter means 'ready to wear' - Prêt-à-écrire means 'ready to write'. This black and white striped notebook is ready to wear and to write. It is an accessory to be shown and an elegant container for your thoughts and notes. The solid thread-bound book block is made of Swedish designer paper and the book cover is made of Italian smooth bonded leather. This notebook is as puristic as it gets. Without the cover motif, it would be hard to distinguish 'front' from 'back', 'up' from 'down'. The inside though is exquisite: 256 pages of the finest white Munken paper, bound between white smooth bonded leather. 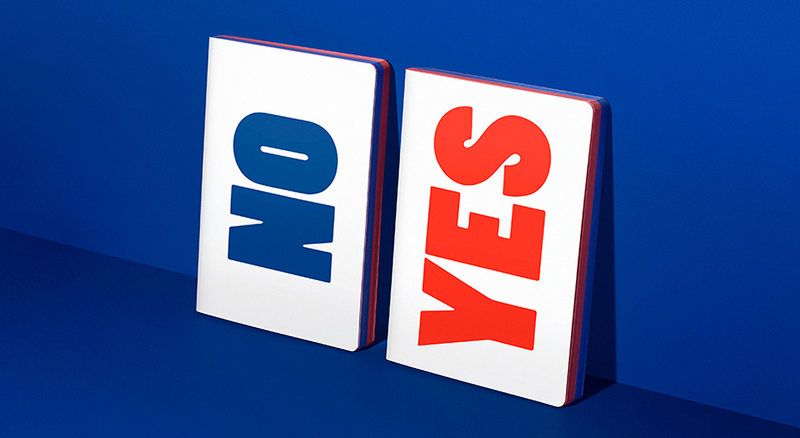 The minimalistic YES and NO indicate the proper use of this notebook: YES marks the front, NO marks the back. A nice side-effect: you can use it as a voting card. Bright red and ultramarine blue printed on white smooth bonded leather. 256 pages for writing, sketching, memorising, sorting your thoughts and focusing on what's really important. The term kaleidoscope derives from the Ancient Greek and means: observation of beautiful forms. We gave this notebook a kaleidoscopic cover-design with Yves Klein Blue and Malewitsch Black - a beautiful place for beautiful thoughts. This notebook isn't designed for lipstick enthusiasts and beauty junkies only - everyone who is kissed by a muse can put down his inspiration on the very best Munken paper. 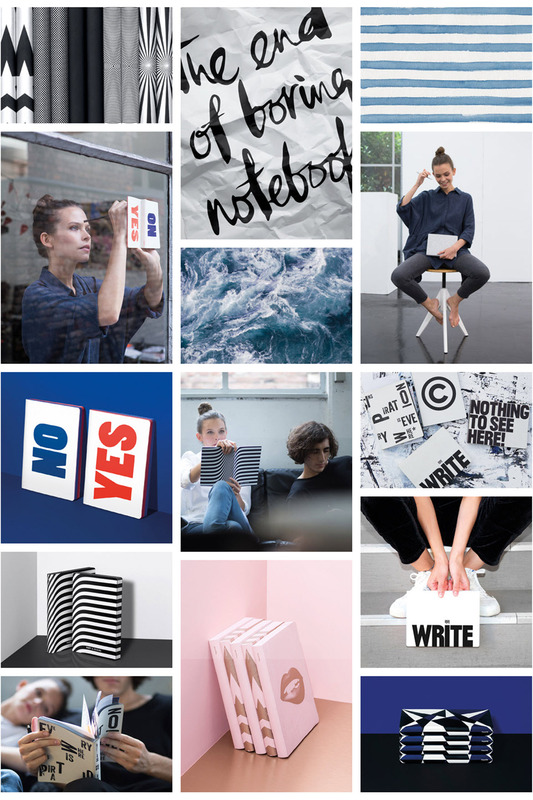 A notebook by nuuna wants to be filled with good, as well as with bad ideas, with spontaneous impressions, thoughts, moods or sketches. It becomes more precious and personal with every brief note and every coffee stain. But only something that’s been produced with attention to detail can actually become more precious. 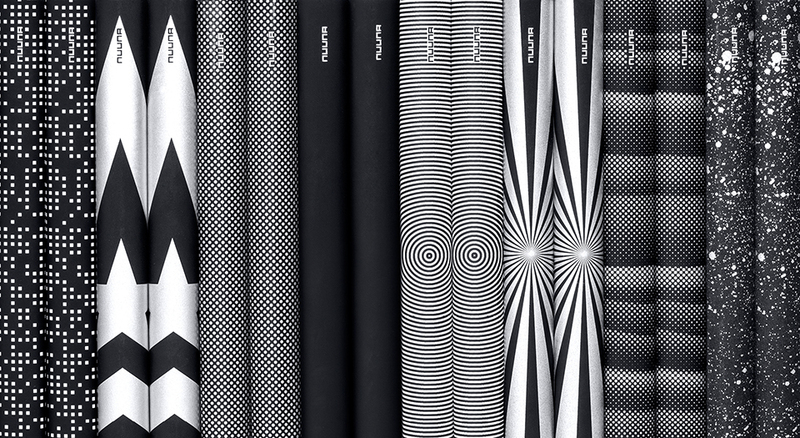 nuuna notebooks therefore have an inside of Swedish fine paper with a decent dot grid that is suitable for both writing and sketching. It is thread-stitched and bound in fine materials such as smooth bonded leather. It is especially soft and appears silk-matt. At the same time it is highly durable and flexible – it doesn’t get kinks or wrinkles. Features that pay off in your everyday life. 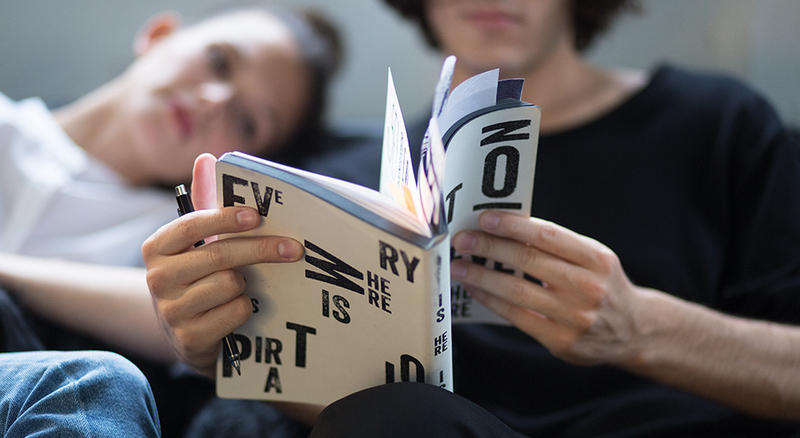 In short: We’ve designed and produced our notebooks the way we want it – without compromise.